The challenge of running 71 races in a nine-month span is daunting to say the least. 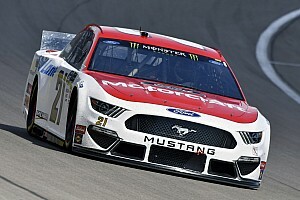 Nonetheless, coming into the 2007 season there are five drivers ready to face that challenge by running full time in both the NASCAR Busch Series AND in NASCAR NEXTEL Cup. Here's the can't-get-enough lineup, with their NASCAR Busch Series rides in parentheses: Dave Blaney (No. 32 Fan1st.com Toyota); Carl Edwards (No. 60 Scott's Ford); David Ragan (No. 6 Discount Tire Ford); David Reutimann (No. 99 Aaron's Dream Machine Toyota); J.J. Yeley (No. 1 Miccosukee Resort Chevrolet). For Edwards, it will be his third consecutive double-duty season. His first two such efforts have been admirable. He finished third in the 2005 NASCAR Busch Series points and second last year. No driver has ever won both of NASCAR's top two series championships in the same season. Harvick came close last year by winning the NASCAR Busch Series title and finishing fourth in NASCAR NEXTEL Cup points. Rookie Rundown: Best Class Ever? The question must be asked. Is the 2007 Raybestos Rookie of the Year class the best in NASCAR Busch Series history? Could be. Start with Juan Pablo Montoya (No. 42 Texaco-Havoline Dodge), and go from there. Montoya, a former Indianapolis 500 winner and a seven-time winner in Formula One racing, supplies immediate marquee value. Whereupon Sam Hornish Jr. (No. 12 Mobil Dodge) adds to it. Hornish is another former Indy 500 champion who has decided to try the NASCAR environment. Hornish will do so this year while also competing in the IndyCar Series. Those are the lead players. Here is the supporting cast: Marcos Ambrose (No. 59 Kingsford Ford), the Australian who is taking over one of the series' more-established rides; Justin Diercks (No. 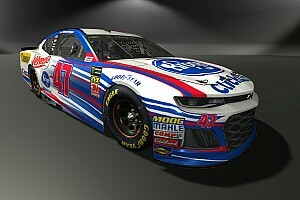 70 Foretravel Chevrolet) a former Toyota All-Star Showdown champion; Brad Keselowski (No. 23 Oklahoma Centennial Chevrolet), a NASCAR Craftsman TruckSeries alum; Robert Richardson (No. 28 Jay Robinson Racing Chevrolet); along with Timothy Peters and David Ragan. Montoya and Ragan also are running for rookie honors in NASCAR NEXTEL Cup. Neither Montoya nor Hornish plan to run a full schedule, but that doesn't mean they can't win the rookie title. David Stremme 9No. 22 Super Cuts Dodge) did so in 2003, making only 18 starts, becoming the series' first Raybestos Rookie of the Year who didn't run a full-time schedule. The "Loop" rarely lies, which means this ORBITZ 300 at Daytona could become a heavyweight bout between Tony Stewart and the drivers from Dale Earnhardt, Inc.
Loop Data is compiled from electronic sensors embedded at various points around race tracks hosting NASCAR national series events. The result is a myriad of telling statistics showing drivers' strengths and weaknesses at a given race -- or a given race track. That said, coming into the ORBITZ 300 Stewart looks strong. In Loop Data compiled over the last two years at Daytona (four races total) Stewart -- who is going for three straight season-opening wins -- has a third-best Driver Rating (106.0) at Daytona International Speedway. But guess who ranks first and second in the all-telling stat, Driver Rating? You guessed it, Dale Earnhardt Jr. and Martin Truex Jr.
Earnhardt has a series-best Daytona Driver Rating of 112.5 and Truex has a runner-up rating of 111.5. DEI teammate Paul Menard (No. 15 PEAK/Menards Chevrolet) sits in 11th place with 90.1. 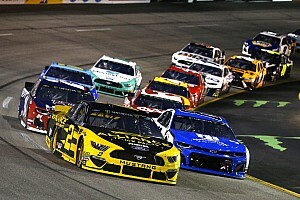 Earnhardt -- with five career NASCAR Busch Series victories at Daytona -- has the third best Average Running Position (8.883) in the four Daytona races since Loop Data has been taken. Menard ranks among the top drivers in Daytona's pivotal Turns 3 and 4. Over the last two years he's the fastest driver in Turn 2 with an average speed of 182.492 mph and third-fastest in Turn 3 at 185.090 mph. Truex also owns impressive numbers. He has the fifth-best Average Running Position (10.009) and the second-best Driver Rating (111.5). Stewart, on the other hand, has the third-highest total of Laps Led with 59 and a seventh-best Average Running Position of 12.395. And with Daytona known for its side-by-side, nose-to-tail racing, Stewart could be crowned king again thanks to an impressive, fifth-best Speed in Traffic of 183.517 mph. The heralded 2007 debut of Toyota in NASCAR NEXTEL Cup and in the NASCAR Busch Series has expectedly focused on the former, with a driver lineup that includes former NASCAR NEXTEL Cup champion Dale Jarrett, two-time Daytona 500 champion Michael Waltrip, and former NASCAR Busch Series champion Brian Vickers. In the ORBITZ 300, fourToyota entries will be featured -- three from Braun Racing's stable with Jason Leffler (No. 38 Great Clips Toyota, Dave Blaney (No. 32 ABF/U-Pack Toyota) and John Andretti (No. 10 Camping World Toyota) -- and one driven for Michael Waltrip Racing by David Reutimann (No. 99 Aaron's Dream Machine Toyota) of Zephyrhills, Fla.
Reutimann is one of the most interesting new faces to appear in NASCAR in recent years. He is a third-generation racer, following his grandfather Emil Reutimann and his father Buzzie Reutimann, who was a major modified star in the 1960s and '70s. Also, Reutimann's uncle Wayne is a long-time Sprint Car competitor. Reutimann comes to Daytona confident. "We can come out of the gate strong and win races," Reutimann said. "We have Toyota's support and the team is intact from last season. [Crew chief] Jerry [Baxter] and I were able to work together several times last year and have a good relationship. He's the right guy for the job there's no doubt about it. Our team is capable of making a serious run for the championship." Unleaded fuel is scheduled to be used full-time in the NASCAR Busch Series this season starting this week. It was used intermittently during the latter half of last season. ... 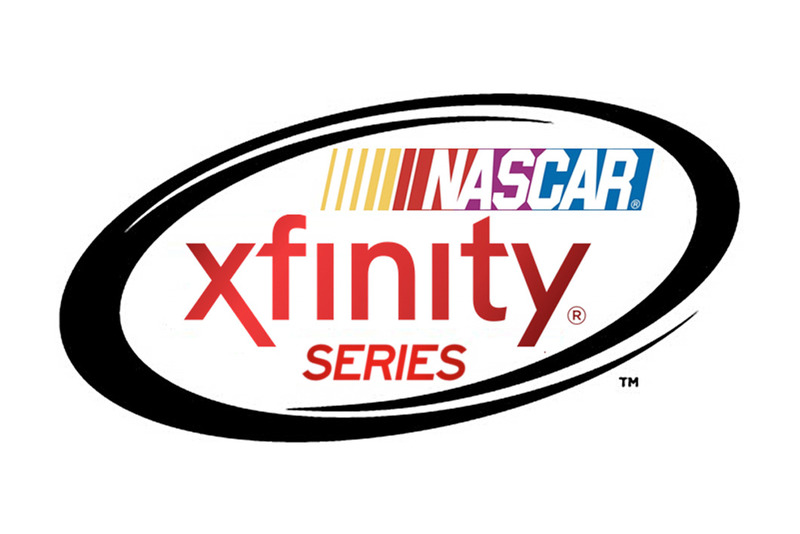 The change in the points system announced for the NASCAR NEXTEL Cup Series last month -- a race winner now gets 185 points instead of the previous 180 -- also applies to the NASCAR Busch Series. With the change, a race winner now can potentially get 195 points via the five bonus points for leading a lap and five more for leading the most laps. That means a race winner had the possibility of earning 25 points more than a race runner-up. ... Mark Martin, the NASCAR Busch Series' all-time victory (47) and Busch Pole (30) leader is entered in the ORBITZ 300, driving Roush Racing's No. 06 Dish Network Ford. Surprisngly, Martin has never won a NASCAR Busch Series race at Daytona, with his best efforts being third-place finishes in the 1996 and '98 series events. Martin was voted No. 1 among the Greatest NASCAR Busch Series Drivers in fan and media internet polls during last year's 25th anniversary celebration of the series' sponsorship with Anheuser-Busch. ... The NASCAR Busch Series heads to California Speedway next week, for the Stater Bros. 300. Greg Biffle won last year -- the sixth consecutive win for Roush Racing in the event. Biffle and teammate Matt Kenseth are tied for the series lead in victories at the 2-mile track with three apiece. Schedule: Wednesday--Practice, 3-4:20 p.m. Thursday -- Rookie Practice, 9-9:30 a.m. Final Practice -- 9:30-10:55 a.m. Friday -- Qualifying, 3:05 p.m.